Peyton flexing his guns. photo: Getty Images. 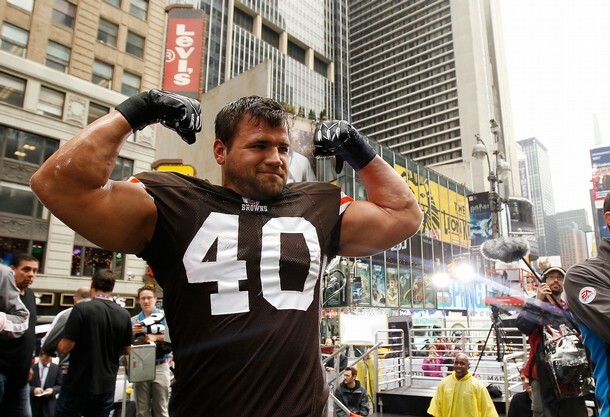 The legend of Peyton Hillis continues. Last season, Cleveland Browns fans were thrilled to receive Hillis in a trade with the Denver Broncos, all for draft picks and quarterback Brady Quinn. Hillis immediately became a fan favorite with his hard hitting, high flying running style. A blocker was in the way? No problem, Hillis would just leapfrog over them... or bulldoze through them. Add on top of that his good looks and charming "aww shucks" demeanor, and we have a winner. From a fan's perspective, Hillis appears grateful for the attention and appreciative to the fans, which after dealing with LeBron and his "decision," Hillis is a refreshing change for Cleveland fans.Hillis wants to be here and he wants to win. 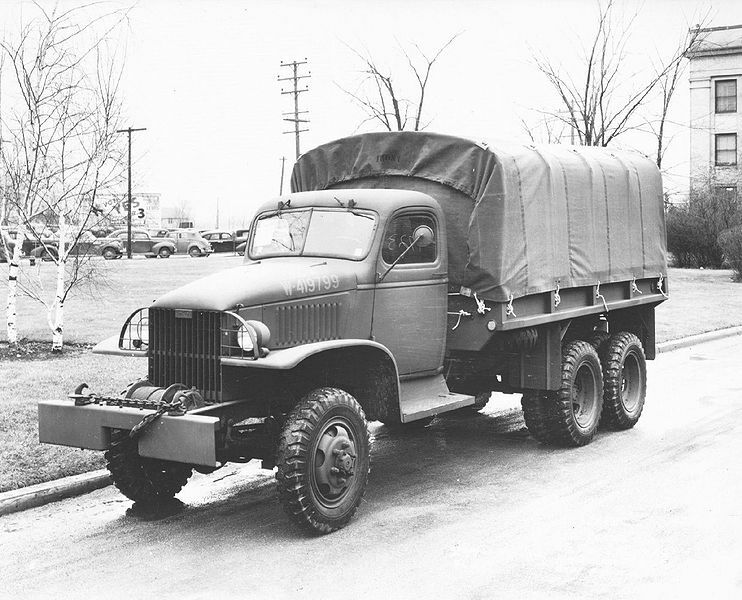 US Army half-ton truck. Photo: Public images. During the NFL lockout, some players are doing wacky things. The Colts' Dallas Clark flexed his acting chops on Criminal Minds. The Eagles' Kevin Kolb was trying to become the bass master by entering fishing tournaments. And what has Peyton Hillis been up to? The man is harnessing up to a half-ton truck and dragging it through his neighborhood. Yes, you read that correctly. Like something out of one of the Rocky movies, Hillis is dragging a half-ton truck through Conway, Arkansas. On a light day, he drops the truck in exchange for a small car or atv. A much easier workout. My favorite thing that he is doing during the lock out is paying people to take the football away from him. As much as I love Hillis, he had several costly fumbles last season, something he knew had to change. So, to remedy his ball dropping, he is carrying a football around with him all day and telling people to knock it out when he least expects it. If you do, you get cash money. Let's face it sports fans, in this economy, I'm sure he has a lot of takers. Hillis admitted a few people got the ball away, but not many. This guy is doing everything possible to be a better ball carrier. 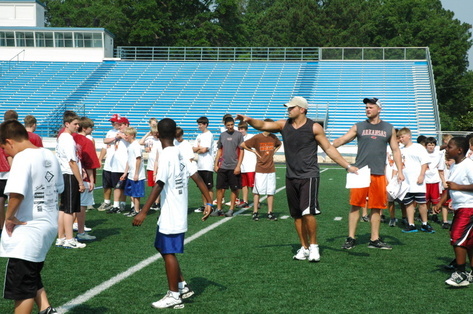 Hillis told the Cleveland Plain Dealer, "I'm not going to be happy until Cleveland wins a Super Bowl," he said. "Those individual goals come and go, but Super Bowls and the relationships you make with coaches, teammates and fans last forever." Hillis at his Football camp. Photo: Spotted-Conway, Arkansas.